Is Your Company Adapting To The New Era Of Buying Behavior? Get the First Section of The Radical Sales Shift – FREE The way that business people research and make purchase decisions has changed radically in the last five years. Buyers now resist talking to salespeople until they’ve completed their own research and are confident about their options. 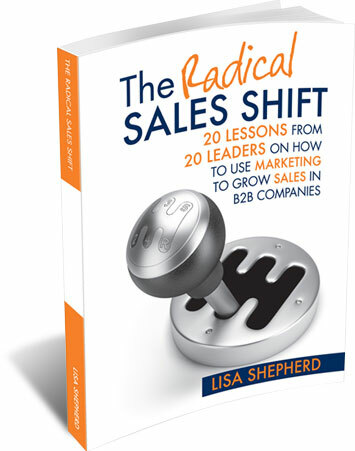 THE RADICAL SALES SHIFT shares lessons from 20 revenue leaders on how B2B companies can adapt their sales and marketing to be successful.